How you relax is completely up to you. 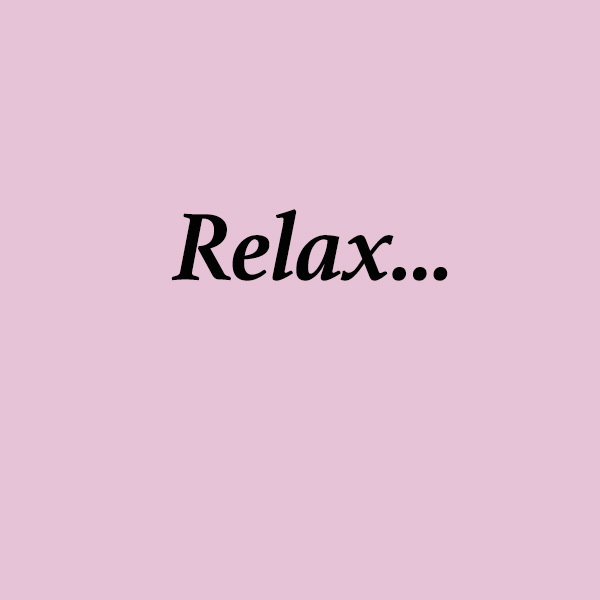 What you find relaxing may be someone else’s version of a stressful situation. Below are some ideas; try one or all and see if you can find a little moment of calm during the day. The time you spend doing them is up to you as well. Listen to your body, feel yourself unwind and then, only when you are ready, carry on with the day. It isn’t being selfish to have some time for you…it is necessary in our modern lives. Don’t feel guilty! 1. Only got a few minutes to de-stress? Try some deep breathing. You can do it anywhere and a little like the ‘being mindful’ step, it just takes you out of the situation for a few minutes and allows you to re-focus. Start by rolling your shoulders back and down and having a little stretch (this will work wonders for your posture too! ), then breathe in deeply through your nose for a count of about 5 seconds, then exhale slowly through your mouth. As you do so, imagine you are releasing all tension and stress. Feel your body relax. 2. Take a walk outside – see if you can find a garden or park somewhere and enjoy the sights and sounds of nature. 3. Carry a book around with you and, when it all gets too much, disappear into a different world for a few chapters. 4. Find it hard to unwind at the end of the day? Switch off all your electronic devices, have a bath (just not too hot as this increases blood pressure) and light a few candles…a bit cliched, but it does work! Plus, when you go to bed, make sure your room is completely dark and quiet. A good bedtime routine will train your body to know it is time to sleep. 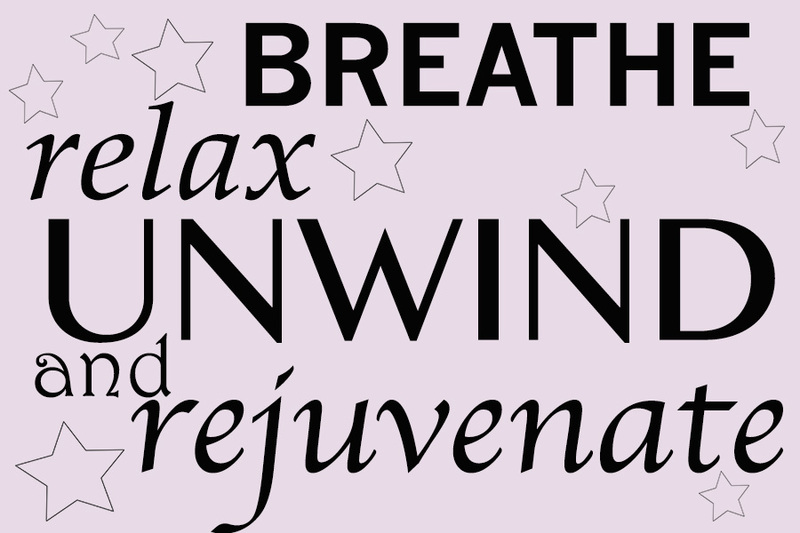 There are many, many more ways you can relax and unwind. Just make sure you find some that work for you and do them regularly during the day!